Senior pets are commonly overlooked by those looking to adopt, but they are in fact the perfect pet option for many families. Senior pets often have a more calm nature than their younger counterparts. They appreciate the simple things in life and are quite content to simply be by your side. 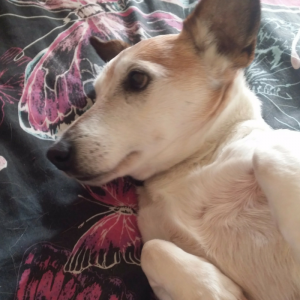 From our Adopted & Adored letterbox this week, we have a lovely update from Tayla, who recently adopted a senior canine citizen, Boston, from The Lost Dogs’ Home. I chose to adopt Boston as I was looking for a friend for my existing dog, Rusty, who is 15. Boston was in the right age range and seemed like he wouldn’t overwhelm my little guy. When we met him at the shelter, I fell in love with his little grey face. 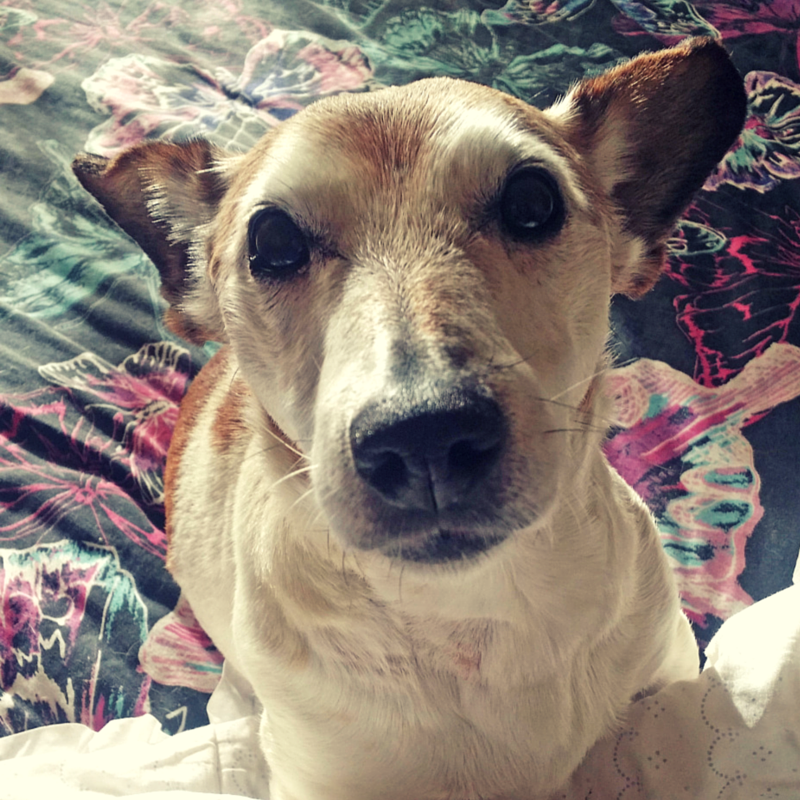 He was such a bundle of personality and just wanted lots of cuddles and love. As soon as we adopted Boston and got him in the car, he made himself right at home and curled up with Rusty for a nap on the drive home. He settled into our home very quickly and within half an hour, he was up on the couch with us enjoying some quiet time. Boston loves toys and now has quite a large collection. He also loves going on walks. Boston really is a lap dog. Wherever I go, he is right next to me. He loves curling up next to me when it’s time to go to bed. My favourite thing about Boston is his personality and the amount of affection he shows. He is such a silly, happy little dog who is so appreciative of everything you do for him. To those thinking of adopting a senior pet, I would say go for it. Because they are a little older, they have so much love to give and appreciate everything you do for them. The older ones make the best companions, in my experience, because they just want to be around you all the time. Boston has become very spoilt with lots of toys and treats, and matching coats with his doggy brother, Rusty. He is a much-loved part of our home and it’s wonderful to come home from work and have him waiting at the door for some attention and love. Like humans, senior pets may slow down a little as they get older, but they are still full of life! By welcoming a golden oldie into your home, you will be rewarded with unconditional love and devotion. Read more about the benefits of adopting a senior.